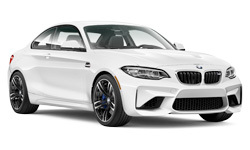 The 2018 BMW M2 Coupe from Lauderdale BMW in Fort Lauderdale, FL, serving Aventura and Hallandale, is a luxury, performance car that begs to be driven. An aggressively chiseled front end captures attention while a wide stance conquers the road with flawless precision. The M2 offers impressive power with the 3.0L Twin Power turbo engine that pumps out 365 horsepower. A race-inspired suspension, built with lightweight materials, ensures optimized handling in every situation. Elegant, black Dakota leather pampers you while you drive with modern features to entertain you during your ride. Play the perfect soundtrack for every adventure with the Harmon Kardon premium sound system. Travel anywhere you desire with the included BMW navigation system that uses a high-resolution screen to show you around. Other convenience features improve your driving experience, including a rearview camera, dynamic cruise control, and ambient interior lighting. It's a great day to buy a new 2018 BMW M2 Coupe! We have a huge 2018 inventory and great financing options to get you the best deal. Take your test drive with Lauderdale BMW by visiting our showroom located at 1441 South Federal Highway, Fort Lauderdale, FL. Drive home the 2018 BMW M2 Coupe of your dreams! The M2 wasn't made to take it easy. 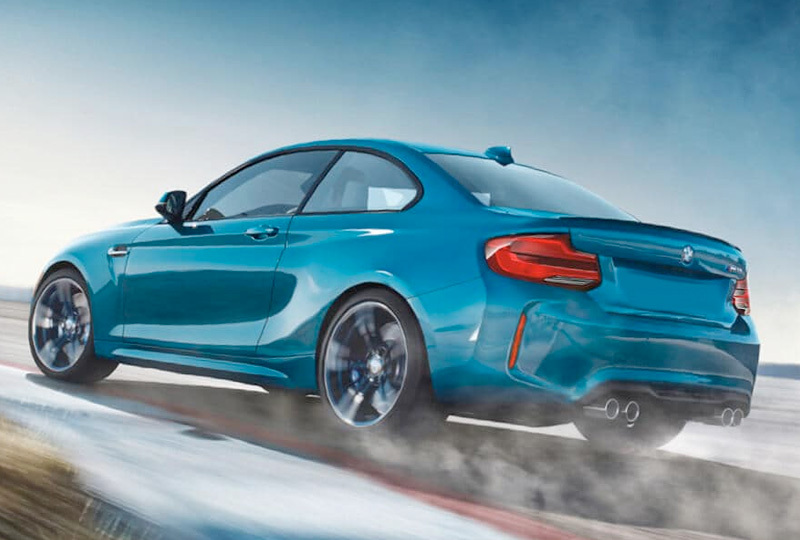 With the same lightweight aluminum suspension as the M4, race-bred compound brakes, and BMW's legendary Active M Differential, this is a vehicle that begs to be driven. Defining the legacy of legendary performance. 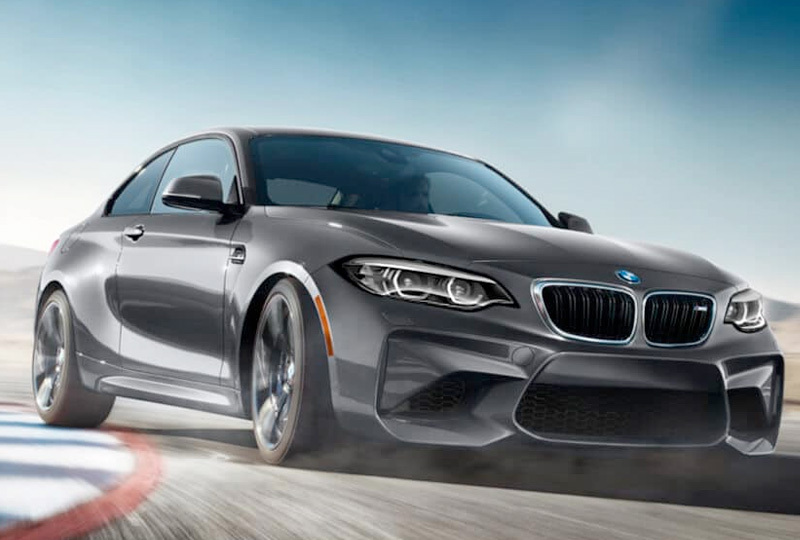 It may be the newest model to bear the M name, but the first-ever BMW M2 Coupe has a four-decade lineage of high performance in its DNA. The perfect formula of chassis balance, steering response, and power-to-weight ratio means the M2 doesn't push limits - it obliterates them. Pure and simple. 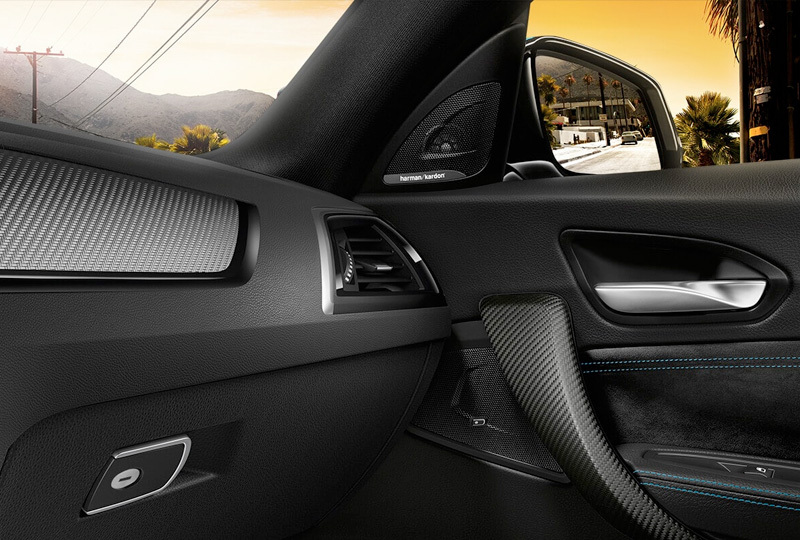 The M2's interior is a study in simplicity by design. Black Dakota Leather with Blue stitching perfectly complements the Carbon Fiber Trim and black panel instrument cluster. Wireless Charging And Wifi Hotspot. A charging pocket in the central console provides inductive Wireless Charging for your compatible smartphone. The onboard WiFi Hotspot lets your passengers connect with ease - with 3GB of data included free for 3 months.